A deal with a cap hit of this magnitude is almost unprecedented for a player coming out of his entry-level contract, and Matthews is now in line to start next season with the second-highest hit in the entire league (pending any other contracts/extensions). Only Connor McDavid’s $12.5MM will eclipse the Toronto center, and his eight-year deal bought out four years of unrestricted free agency. 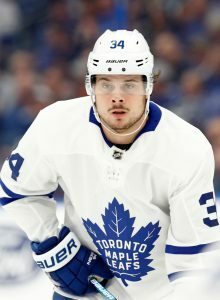 Matthews is giving up just a single year of UFA status with this contract, meaning he is now scheduled to hit the open market as a 26-year old in the prime of his career. The Maple Leafs will try to avoid that with another huge extension, but there is little doubt that Matthews has set himself up to be one of the highest earners in NHL history. There’s good reason for this huge contract. Matthews came into the league after being selected first overall in 2016 and immediately established himself as one of the best goal scorers in the NHL. With four goals in his rookie debut, the 6’3″ center put the league on notice and carried it all the way to a 40-goal, Calder Trophy-winning season in 2016-17. His 32 even-strength tallies led the league that year, and he received votes for the Lady Byng, Selke and Hart trophies. Last year was a bit different, as the Maple Leafs forward dealt with injuries that limited him to just 62 games. Still, he racked up 34 goals and 63 points while still only seeing 18 minutes of ice time a night. This year has also seen him miss some time with a shoulder injury, but Matthews is playing at an even higher level than the past. With 46 points in 38 games he has a chance to set a career-high and will likely post the third consecutive 30+ goal campaign of his young career. That kind of goal production puts him in elite company, and is a huge part of why he was given the biggest deal possible. This is, undoubtedly, the biggest deal the Maple Leafs could offer. 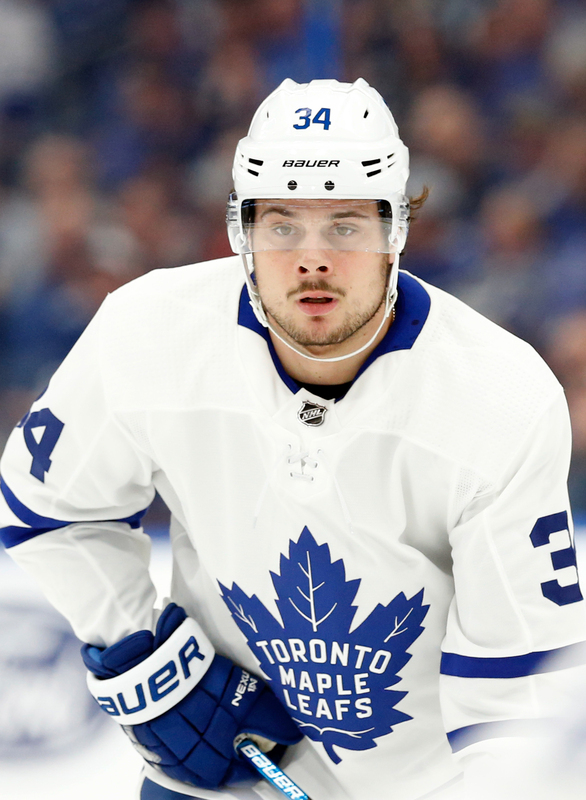 An eight-year extension would have pushed Matthews’ cap hit into a place that made the rest of their roster unmanageable, given the huge contracts already handed out to John Tavares and William Nylander and upcoming negotiation with Mitch Marner—not to mention Kasperi Kapanen and Andreas Johnsson. Matthews’ likely eight-year ask was north of McDavid’s $12.5MM mark, which would have left the team in an almost untenable situation. In order to avoid that, they had to deal with the fact that Matthews could very well walk away in free agency a few years sooner. Still, this has dramatic positives for the team. For one, the Maple Leafs now have a much clearer picture of where they stand financially moving forward, and have that knowledge well ahead of this year’s trade deadline. If the team is still interested in adding to this group, they can understand much more accurately the picture going forward. Second, after a long and public negotiation with Nylander dragged well into the season, the team can now cross the first name on their list off and focus on Marner’s next deal. That negotiation isn’t expected to start until after the season at the player’s request. The Maple Leafs have a clear window for success. Signing Tavares last offseason likely shortened it, given the ramifications that it caused like shortening Matthews’ contract. GM Kyle Dubas and the rest of the organization are betting that bringing in the $11MM forward from the New York Islanders improves their chances in that shortened window and will hopefully result in their first Stanley Cup in decades. They just doubled down on that bet, and now have six years (including this one) to find some success in the playoffs before dealing with another Matthews contract. maybe or more this is the window and if they can’t win in this window I can pick the team I think can win. that and he knows some money will be off the books in 5 years. I just love the structure. Listening to SN590 all day…biggest worry now is getting Marner a deal! He may not be a Matthews, but led team in points last two years and he needs to get signed! He’s my fav Leaf by far! Marner is probably more valuable than Matthews. Wouldn’t surprise me if how’s looking to pass this deal on the AAV side. Would someone explain to me why its all done in signing bonuses? The pros and cons of this? I assume it means he gets paid no matter what but what does that mean for toronto if something happens? It just means they have to pay him the signing bonus amount even if there’s a lockout. If it were signed with no signing bonus and a lockout happened, they’d owe him nothing I believe. Might be wrong but I think it also affects the year-to-year money that Matthews gets. So if the Leafs were to trade him he would still be at his $11m cap hit but his new team would only be paying the salary and not the signing bonus. All the big shots are lockout proofing their contracts. It also makes them more tradable to a team like Arizona, who could trade for Matthews in the last year, and pay him 750k or whatever even though he takes up 11 million cap space. The con for the team is that they have to pay him even during a lockout, because signing bonuses are still due, just not game salaries. They have 49 mill due in July 1st ! Marner is a stud too. not sure that’s entirely true. for next year sure there is likely to be someone squeezed out but in 3-4 years it’s nothing. Seattle coming into the league will see another increase in the cap like Vegas’s impact. At first I thought it was a bit odd that they only locked him up for 5 years… but a lot can happen in 5 years. Seems like a very smart deal for both the organization and the player. Lots of supposed experts have tried weighing in on the Leafs’ cap situation, but it really shows how little most hockey people know about basic math. The Leafs are fine, and they’ll have no trouble signing Marner. The problem will be that they’re less able to acquire UFAs in the future, but you pretty much always have to overpay for a UFA, so this is a very sound strategy. The Leafs management are playing chess while hockey analysts often have trouble understanding tiddlywinks. I was thinking the same thing… Although its hard to think there will be a lockout when guys are getting these huge deals. I think the Leafs are safe on this one.